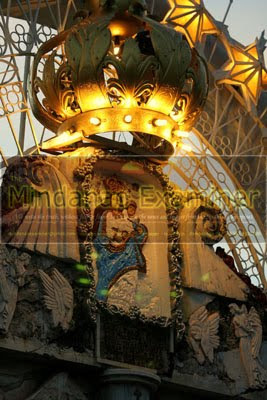 ZAMBOANGA CITY, Philippines (Mindanao Examiner / Apr. 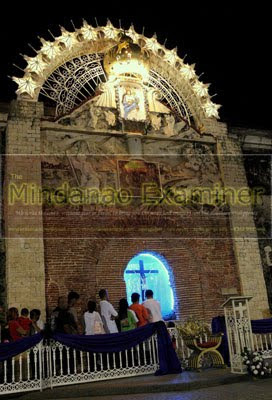 17, 2011) – Thousands of Catholic faithful are expected to flock to Zamboanga’s so-called ‘holy hill’ to observe the weeklong season of Lent – a retreat from their daily chores and meditate in prayers in every stations of the cross erected in Pasonanca village. 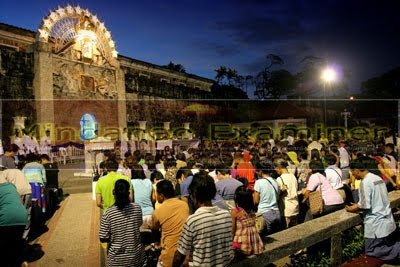 The ‘holy week’ also serves as a get-together to many Christian families in Zamboanga, now popularly branded as Asia’s Latin City because of its unique language called Chavacano - a mixture of Spanish and several Filipino dialects which is distinct in the Philippines. Shops, which sell souvenir shirts with images of Jesus Christ or the Virgin Mary to cell phone cards, also sprout like wild mushrooms - in every corner of the hill located above Abong-Abong Park - taking advantage of the long holiday. Dozens of Catholic churches to small chapels across Zamboanga also offer masses and hold processions where locals parade their statues of Christ, or the Virgin Mary, all in colorful costumes and sing hymns as they walk for hours around villages. The observance of the Lent also is the holiest time for those who believe or practice witchcraft or black magic, and even voodoo which they believe give them and their talisman more powers. Zamboanga is a place where many locals believe in the supernatural and black magic and a long list of superstitious beliefs handed down from past generations. Catholics here also abstain from eating meat on Ash Wednesday and Holy Friday, while some go on fasting the whole week believing it would cleanse their spiritual body and bring them closer to god.